This offer kicks in whenever a customer picks up a new HTC One, HTC One mini, or HTC One max. Owners are now entitled to a free cracked-screen replacement for up to six months after purchase. The replacement process should take 8 - 10 days to complete, but people can pay $29 to bump things up to overnight shipping. New owners are also eligible for 25 - 50GB of Google Drive storage for two years, an offer that isn't entirely new in its own right. The bullet point to keep an eye on, though, is the promise of two years of Android updates starting at the launch of the phone, as it's the only aspect of the HTC Advantage that applies to people who already own any One of these devices. The M8 may be making an appearance come March 25th, but last year's model should still have over a year of life left - assuming HTC sticks to its promise. BELLEVUE, WA — February 18, 2014 — HTC America Inc., a leader of mobile innovation, is building upon years of product and design firsts by charting new territory to redefine the mobile experience with today’s launch of HTC Advantage™, an unparalleled initiative that gives HTC smartphone owners in the United States the added benefits they need after investing in a new smartphone. HTC Advantage marks an enhanced focus and commitment to customers who select the best and want to keep it that way, by delivering both hardware and software commitments for the HTC One family of smartphones – HTC One, HTC One mini and HTC One max. HTC Americas is working to solve the challenges of today’s mobile lifestyle featuring a free one-time cracked screen replacement within the first six months of ownership, a commitment to future software innovation, and content storage and backup solutions that consumers need in today’s digital world. Even with ongoing improvements in manufacturing, more durable construction, stronger scratch resistant screens, and the addition of protective cases, broken screens are an unfortunate and costly part of mobile phone ownership. Starting today, HTC Advantage is doing away with that frustration by giving U.S. customers who purchase any of the HTC One family of smartphones a free one-time screen replacement within the first six months of ownership. When a customer purchases a smartphone, they can’t always be certain they’ll receive future software enhancements or performance improvements. 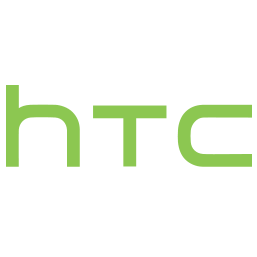 HTC Americas is rectifying the issue and aspires to lead the industry in Android update delivery for the HTC One smartphone, evident by the speedy delivery of the latest version of Android (KitKat 4.4.2) and HTC’s latest innovation in HTC Sense 5.5 across numerous carriers in North America. HTC was the first in the United States and Canada, outside of Google-owned companies and Google Play editions of devices, to begin delivering KitKat to its customers. HTC Americas has also proactively committed to upgrade the HTC One mini and HTC One max to KitKat in the coming months, allowing consumers with the HTC One family of smartphones to receive continued support from HTC and the latest operating system (OS) innovation. HTC not only strives to deliver faster updates, but to provide full transparency to consumers on the process and status of each device update. In addition, HTC Americas is committing to support the HTC One family of smartphones in the United States with major Android OS upgrades for up to two years from the initial launch date of the phone. Smartphones have become the one thing that consumers can’t leave their home without since it’s their communication hub, primary camera and vital access to entertainment. With the volume and variety of information and memories stored on smartphones, HTC One customers can have peace of mind that their content is accessible with 25GB – 50GB of free additional online storage*, along with the ease of transferring content from their computer to their phone, and back up and restore** options directly from HTC. The HTC One smartphone launched to critical acclaim in 2013 receiving numerous awards for its innovations in design, imaging and audio experiences from the mobile industry, technology reviewers and consumer reporters. The family of smartphones expanded with the addition of the HTC One mini and HTC One max smartphones offering consumers more choice with pocket-friendly and super-sized options. HTC Advantage launches today in the United States, where it is available with new purchases of the HTC One family of products. For more information on HTC, the HTC One family of smartphones or HTC Advantage please visit www.htc.com/advantage.